In 1929 an Orchestra Model (OM) was first presented to the public. 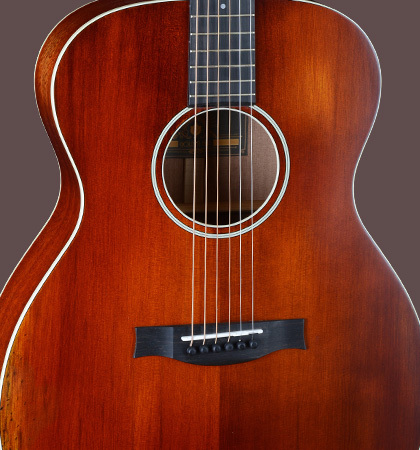 At the beginning of the 30’s of the 20th century, this body shape has been one of the biggest guitar shapes. The OM was originally designed for use in big bands. Finger stylists quickly discovered the qualities of this body shape. 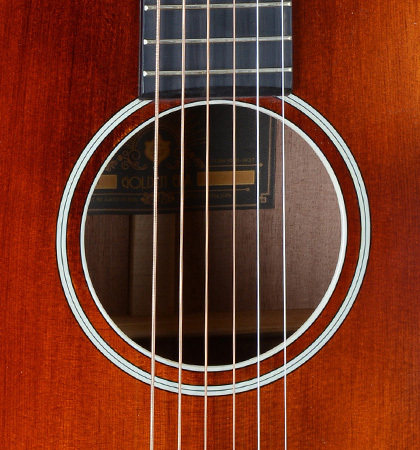 For every fingerstyle guitarist, a balanced frequency spectrum with powerful trebles and moderate basses is an absolute must. Our Stanford Golden Era OM 10 meets these requirements with flying colors. 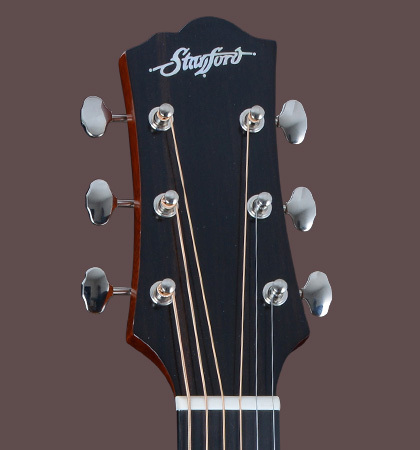 The fine grained solid Canadian Sitka spruce top, draws a clear and transparent sound. 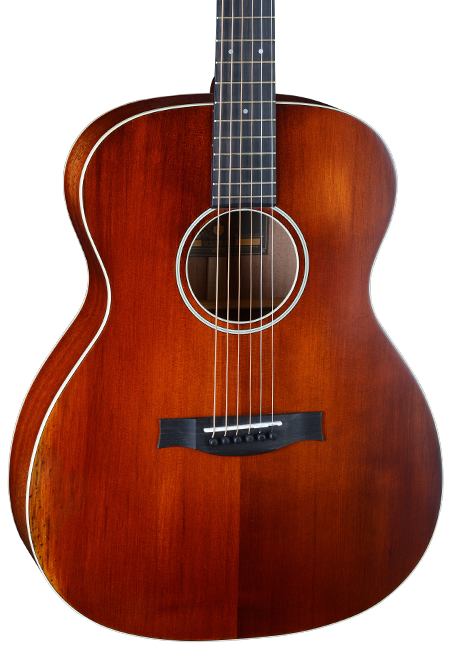 Solid back and sides of African mahogany, give the Stanford Golden Era OM 10 its unmistakable, woody character and a very direct sound. The Antique Violin Finish, combined with a thin layer of nitrocellulose lacquer, makes the Golden Era OM 10 a small beauty.